Today was going to be another upwind day. We waited until the afternoon before leaving Ronde Island so that the tide would be pushing us upwind. A good excuse for a long sleep and then a swim to the beach to wake up. 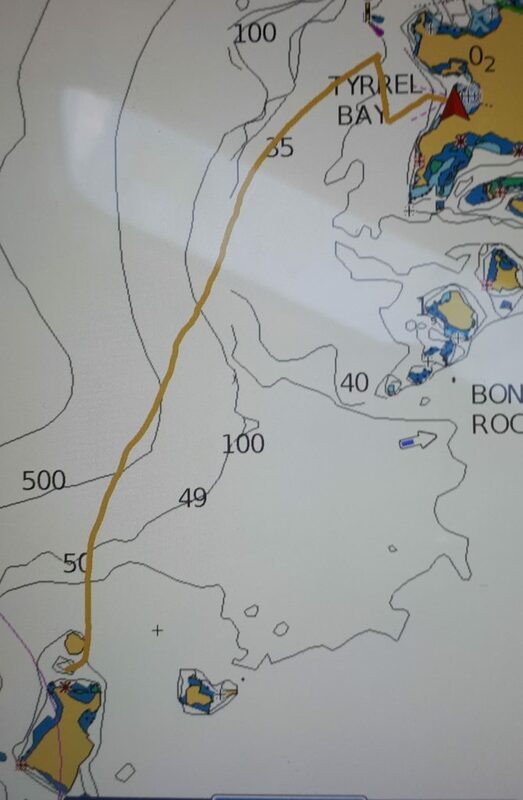 As we headed north we saw another boat we knew getting pushed even further west but then we found the hoped for current and the course began to improve. Heidi took over the tiller and entered “Zen Sailing” mode. No looking at the compass or the surrounding islands – she just stared at the clouds and “felt” the best course. Sounds pretty wacky but you can’t argue with success. She was faster than Neill and slowly bent us to the east and Tyrell Harbour. 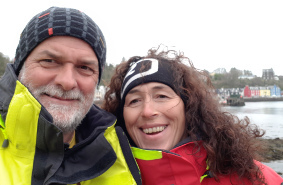 As the boat that had been pushed west motored back upwind and a French boat struck their sails to motor, Heidi tacked twice and sailed straight in to the harbour. And all this from some one who only ten moths ago was complaining that “it is impossible to feel the wind”. Our “welcome to Grenada” on the island of Cariacou was a bit of a disapointment. We filled out everything needed to clear in to the country online and took the dinghy to customs. There we were met by an impolite and officious lady who told us she had no printer ink so we could redo it all manually. She continued to be impolite during the whole process. Luckily I have often travelled to the USA so I am practiced in dealing with officious, overweight and badly educated officials and knew the golden rule of just keep smiling and agreeing. Immediately after things improved when we found a bar with Rum Punch and some other cruisers. I complained to the owner about the customs women who just asked “short, overweight and with an attitude?” When I agreed he told us we weren’t the first to be less than impressed. The next day we sailed south to Ronde Island and anchored alone off the beach. No other boats. No habitation. No lights. Just an awful lot of stars. Also some big waves which discouraged us from landing on the empty beach. Just off the island is an active underwater volcano named Kick ’em Jennie. We heard no rumbles and saw no bubbles so it is obviously dormant right now. We continued on to the south end of Grenada and the anchorage at Prickly Bay which we had heard was “the place to be”. On the morning radio net we heard about a cruisers versus locals cricket match and jumble sale but that is not really us. We met and enjoyed some drinks with a couple from Ireland who have winter off after working seven days a week at their bed and breakfast. On Sunday we caught the bus to the capital but it was closed. The only life was round a party boat where the guests were waiting to board. Grenadians can fit an awful lot of women in to a bit of stretchy material. Another attribute that reminds me of the USA. The buses are great. They drive along blowing their horns and stop if you wave at them. Then they stop again when you want to get off. Everywhere is a bus stop. After a big shopping expedition, refuelling and filling up with water, we set off back north. Real sailing against the wind. After sailing three thousand miles downwind this is going to take some getting used to. At the last moment we decided to stop off at Halifax Harbour. As we sailed in to anchor I recognised the boat “Sea Love” but it was Heidi who remembered it was Miles and Jo with their two kids. We last met them off La Gomera in the Canary Islands. That night it was drinks on their boat. 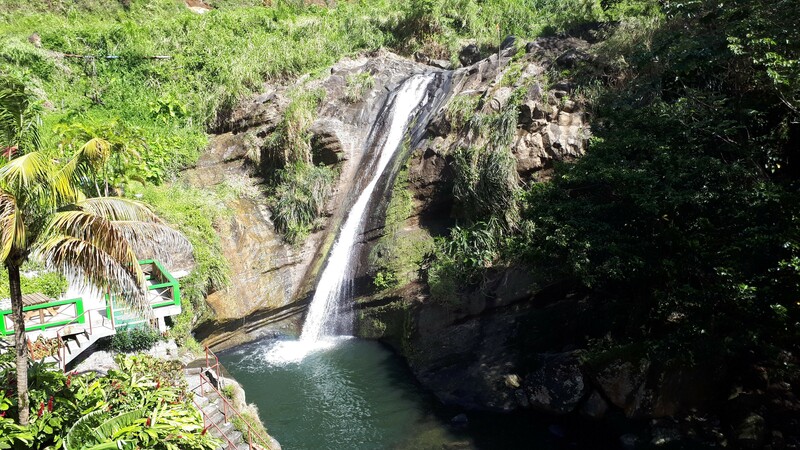 Just inland from the bay are the Concord waterfalls so we walked the five kilometers up through the tropical forest to see them. It was mostly uphill but we were rewarded by a refreshing swim in a gorgeous pool. Just the two of us. The best shower in months. And as I write this we are once again anchored of Ronde Island far from the “real world”. 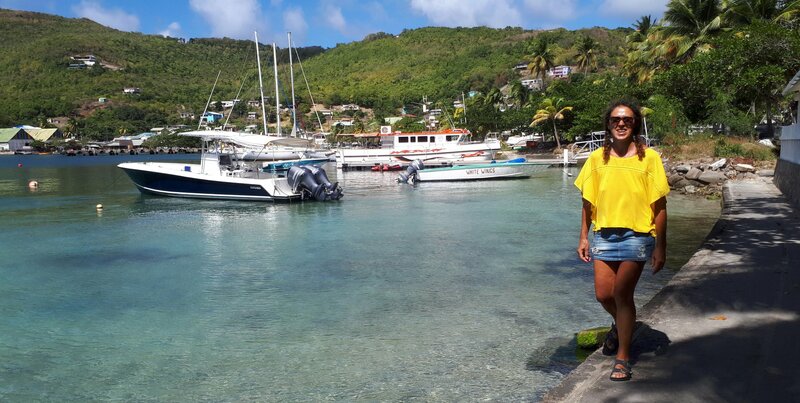 The Grenadines are somewhere to lose yourself in. We have met Danish cruisers who have been here, on and off, for eleven years and Swiss who have been at anchor for two or maybe three years. Happy Hour in Chatham Bay lasts three hours and everyone you meet has time for a chat. You can spend an hour sipping your rum punch and no one hassles you with an American “You guys Ok? Shall I get your check?”. Turtles swim around the boat, pelicans crash in to the water and in the late afternoon the fish jump. Underwater there are fish in every colour and coral in every form. The water is warm and the breeze is cool and occasionally it rains to wash Artemis down. The sailing is easy. It is never more than a day from island to island and the wind always seems to be going roughly our way. Even upwind sailing is enjoyable. We have visited the luxury island resorts at Palm Island and Petit St. Vincent and enjoyed their beaches and bars. On Palm Island we met a lovely English couple who seemed genuinely amazed that we sail across oceans in “that little boat”. We anchored off Chatham Bay on Union Island. A beautiful horseshoe bay surrounded by wooded hillside. No swell to shake the boat but loads of wind to generate electricity. Neill actually needed a lot of electricity as he spent a week reprogramming a business application he accidentally killed while tidying up a server. There are worse places than Chatham Bay to program in. If it all gets too much you can swim, walk along the beach or up the hill and then enjoy a rum punch at the beach bar. 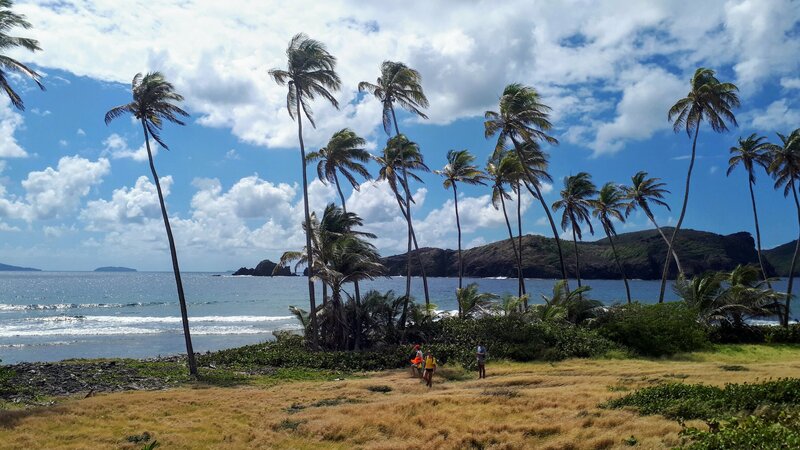 Two days ago we walked across the Island and officially ckeared out of St. Vincent and the Grenadines. We then sailed the ten miles across to the Country of Grenada. Distances are short here. 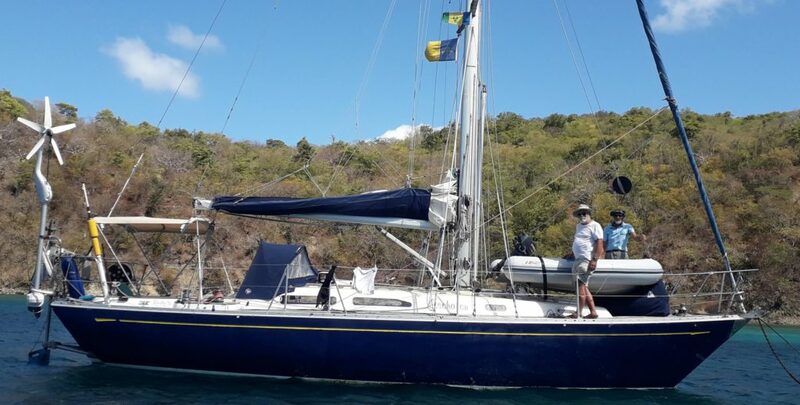 Artemis is a “Rustler 36”. Only 125 of these boats were ever built; each one according to the wishes of the new owner – they were built when ordered and not “for the showroom”. One of the boats was wrecked and another was recently abandoned in the South Pacific during the Golden Globe Race so there are 123 out and about spread across the world. We have a list of all 125 boats, who owns them and what differentiates them. Therefore whenever we see another Rustler 36, Neill scurries to the list to look it up. The West Coast of Scotland is a Rustler nest and we got quite used to meeting others. In Lochmaddy one berthed next to us and the owner came over for a chat. In the Outer Hebrides there were only two boats anchored in Vatersay Bay and the other one was also a Rustler 36. Falmouth (where they were built) gave us another great Rustler spotting opportunity but since we left the UK we have been Rustler-less. Many people recognized our boat especially after a sister vessel won the Golden Globe and another came second. 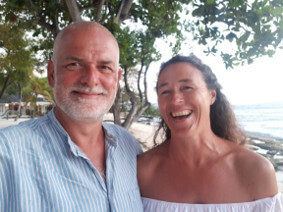 In Spain a Frenchman greeted us as “Monsieur et Madame Rustler” and in the Caribbean, the skipper of a huge luxury catamaran congratulated us on owning a “real” yacht. 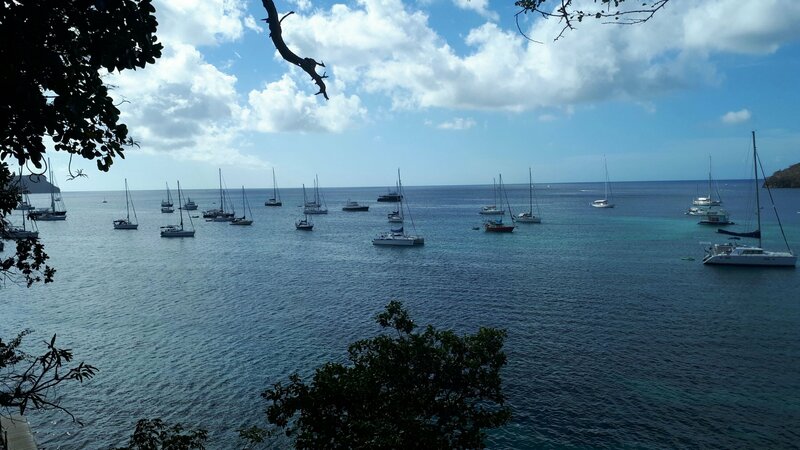 Last week we sailed in to a lonely bay at the back of a small island in the Grenadines and, amongst the blocky white catamarans saw a Rustler 36. We sailed slowly past and invited the skipper and crew for coffee. Neill checked “the list” and was stunned to find that here, in the middle of nowhere, we had met the only other Rustler owned by a Hogarth – Dan Hogarth. Coffee on board was followed by drinks on the beach and Dan proposed us for membership of the Ocean Cruising Club. And then today just north of Grenada we passed Rustler 36 number 15 heading north. Much waving took place on both vessels but they didn’t answer our radio call. A shame as the boat is from Chichester which we visited last summer. Today we are anchored just off Union Island and decided to go for a walk before we hit the fruit market and shops. As always when we are out walking, we took the road that went uphill – there is a reason Max didn’t used to join us on our walks. We walked to the top of Fort Hill which is directly above the bay and offers great views in all directions. 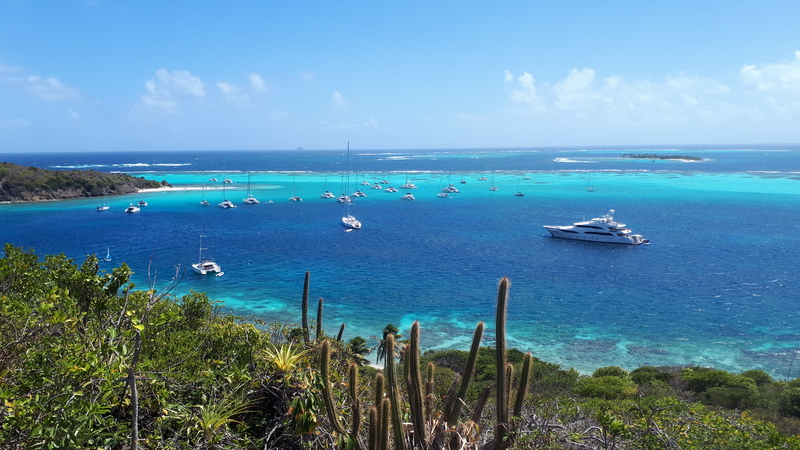 From the old fort we had a fantastic overview of the islands and reefs that have been our sailing area the last week. 1 is Canouan Island where we anchored in Rameau Bay. 2 is Horseshoe reef where we enjoyed the turtles swimming past. 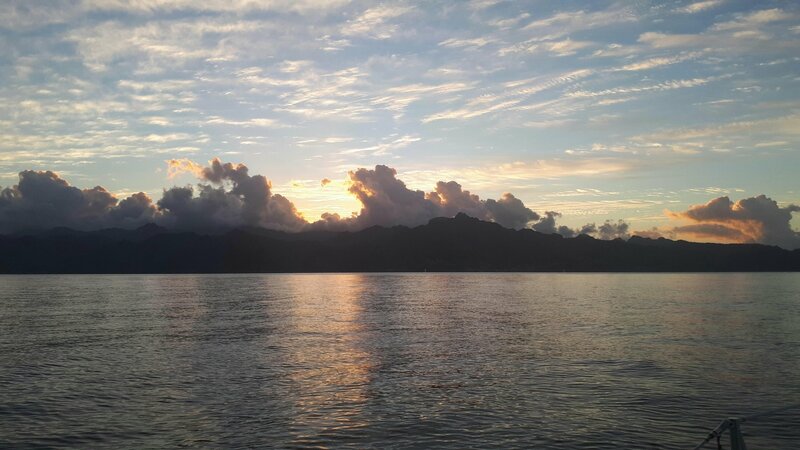 3 is Petit Tabac, our very own coral island where we spent the night anchored alone. 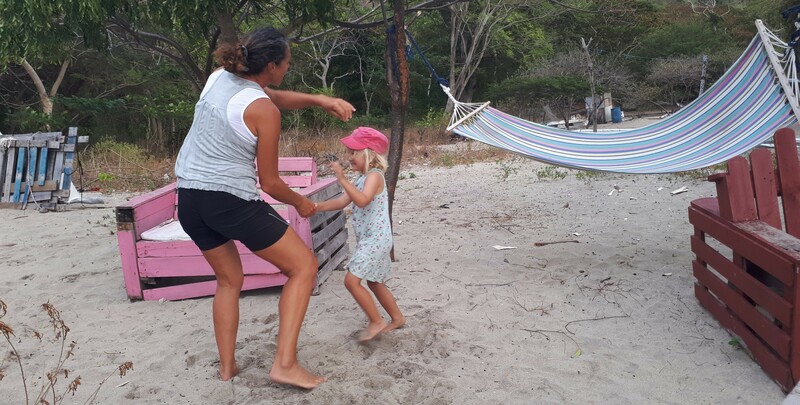 4 is Palm Island with its stunning beach. 5. is Mopion Reef with its straw roof and fast Internet. 6 is the island of Petit St. Vincent with the ridiculously expensive drinks. And 7. is Roundabout Reef with us at anchor just to the left of it. If you believed the Bavarian government, then Germany has the best Internet in the world and Bavaria has the best in Germany. That is absolute rubbish! There are whole villages in Germany where the Internet is slow or non-existent. We have a tiny house and a vineyard at the end of a remote side valley in deepest Croatia. There we have fast Internet per LTE mobile phone network. Anchored off the Cape Verde Islands off Africa we had fast Internet. In a tiny Hebrides village with five houses we had fast Internet. 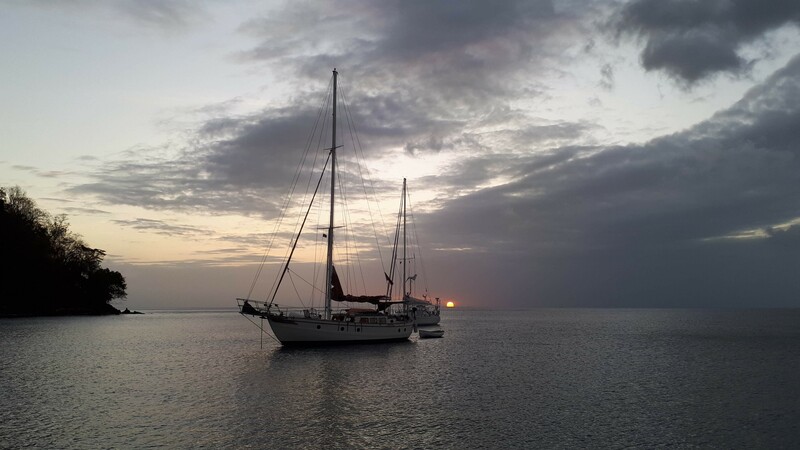 And today we were anchored at Mopion Reef in the Grenadines. It is a sandbank with a grass roof. But, of course, it has fast Internet per LTE. I could log in to my server, communicate per WhatsApp, rework a few photos in the Cloud and deal with my emails. The lesson is obvious. If you want fast Internet and live in Germany – emigrate.